Thyroid problems have a significant impact on nearly every part of your body, including your heart, energy, and weight. Walid Elkhalili, MD, and the team at Apex Medical Professionals encourage you to come in for an assessment when you develop symptoms of thyroid problems. Early treatment can prevent serious complications caused by thyroid problems such as heart arrhythmias and high cholesterol. To schedule an appointment, call the office in Fair Lawn, New Jersey, or use the online booking feature. Your thyroid gland produces hormones that regulate metabolism and growth. One hormone released by the thyroid called calcitonin regulates calcium absorption and bone metabolism. The most common thyroid problems are nodules, hypothyroidism, and hyperthyroidism. A thyroid nodule develops when an overgrowth of cells accumulates into a lump or mass. If the nodule is filled with fluid, it’s called a thyroid cyst. About 90% of thyroid nodules are noncancerous (benign) and small enough that you might not need treatment. However, a nodule must be removed when it’s cancerous or becomes toxic, which means it’s over-producing thyroid hormones. Hyperthyroidism is a condition that occurs when your thyroid gland produces excessive amounts of hormones. Several underlying problems that cause hyperthyroidism include an autoimmune condition called Graves’ disease, an inflamed thyroid gland (thyroiditis), and a toxic thyroid nodule. In rare cases, hyperthyroidism affects your eyes, making your eyeballs bulge out from their normal position. When your thyroid gland doesn’t produce enough hormones, you have hypothyroidism. This condition may be caused by an autoimmune disease (Hashimoto’s thyroiditis), treatment for hyperthyroidism, cancer, or medications such as lithium. Untreated hypothyroidism may lead to such health issues as heart problems, damaged peripheral nerves, and infertility. There’s one treatment for hypothyroidism: taking thyroid hormones to bring levels back to normal. If you have hyperthyroidism, your treatment may include radioactive iodine to shrink the thyroid gland or medications to reduce thyroid hormone production. 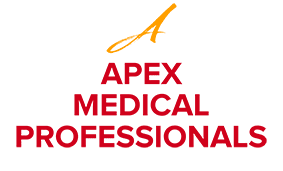 In some cases, your doctor at Apex Medical Professionals may recommend surgery to remove part or all of the gland. If you develop any of the symptoms of thyroid problems, call Apex Medical Professionals or book an appointment online.